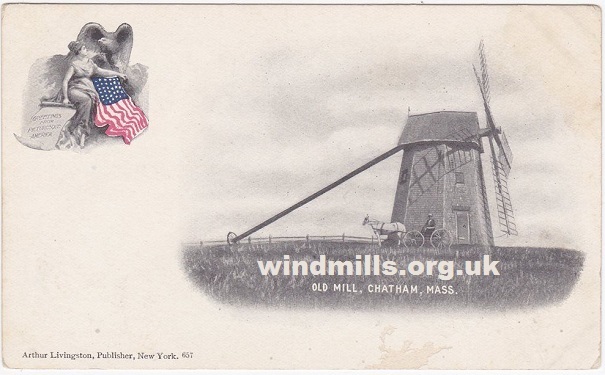 A selection of old postcards featuring windmills in the USA. 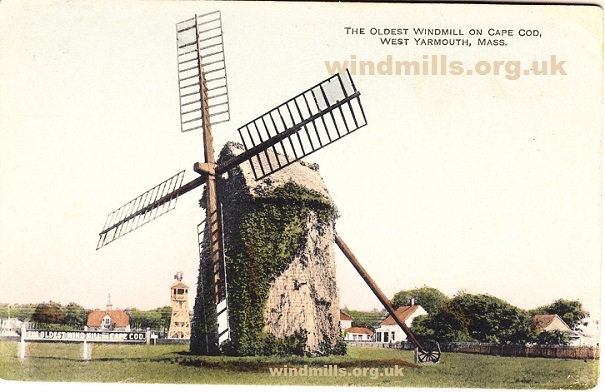 An old postcard feating the Old Windmill in East Hampton. Long Island, New York, USA. 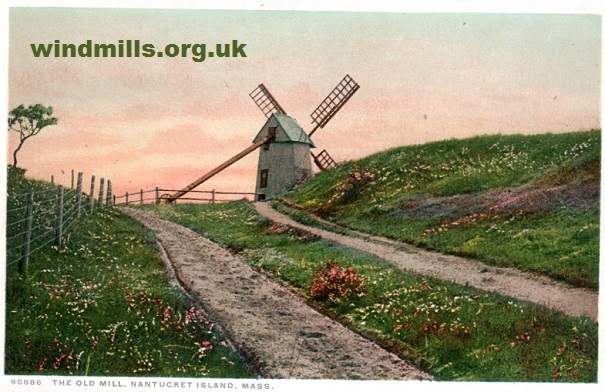 A 1920s picture postcard of the windmill in Chatham, Massachusetts, USA. 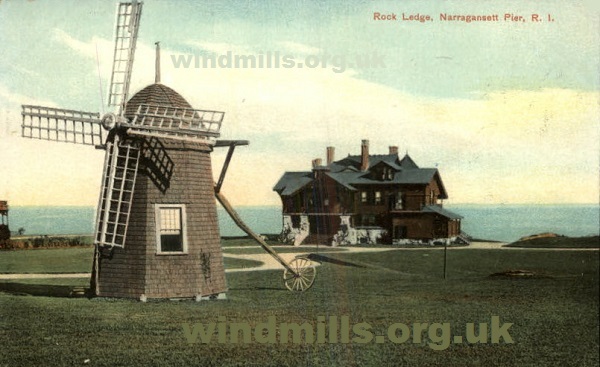 An old postcard of the mill at Rock Ledge in Narragansett Pier, Rhode Island, United States. 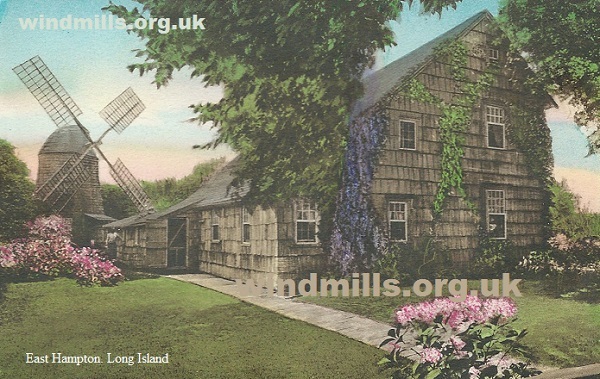 The Old Mill on Nantucket Island, Massachusetts, on an old picture postcard mailed in 1921. The old windmill, West Yarmouth, Cape Cod, Massachusetts, United States of America. 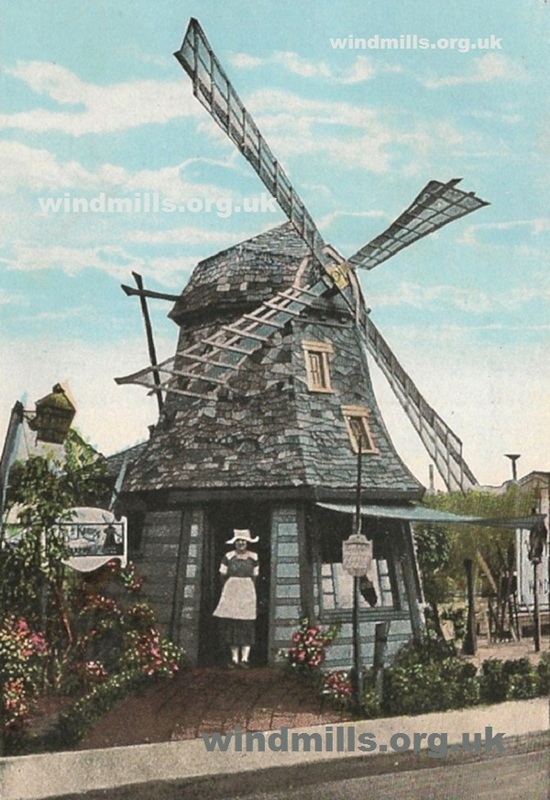 Van de Kamps Dutch Bakers Windmill Store No. 1. in Los Angeles, California. Never a working mill! 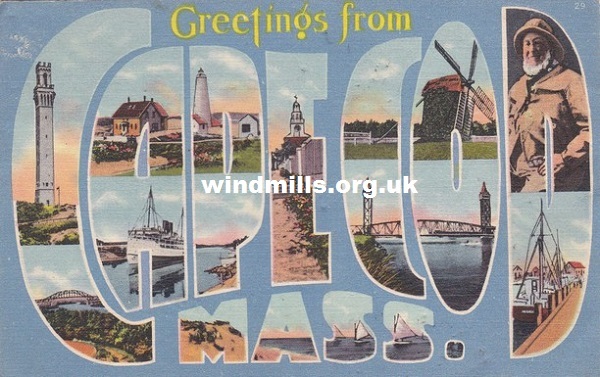 An vintage multiview picture postcard from the early 1950s featuring one of the windmills in Cape Cod, Massachusetts, USA.